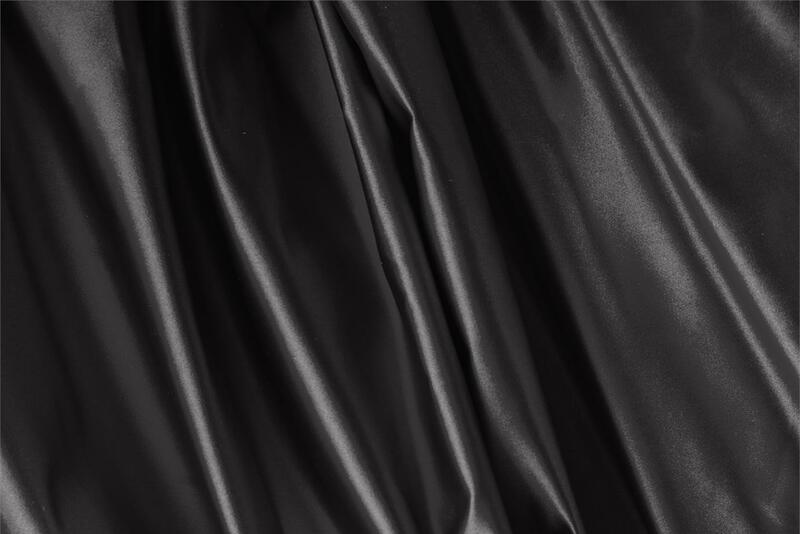 Buy online our clothing and fashion fabric Black Silk Duchesse, Made in Italy. Our pure silk duchesse is a luxurious and elegant fabric made with yarn-dyed natural silk. What makes it so unique is its compact semi-lustrous satin shimmer. Sustained hand is given by an artisan finishing process. A designer’s favorite, silk duchesse satin is primarily used for bridal gowns, but is also perfect for both day and evening dresses, elegant skirts, jackets and light coats. Its particular structure follows the figure. Black Silk Duchesse Plain fabric for Ceremony dress, Dress, Jacket, Light Coat, Party dress, Skirt, Wedding dress.